This workout was found in the December / Janaruay issue of Men’s Fitness. Josh Koscheck featured in the workout and illustrates how the exercises are done. Randy Couture admittedly has me beat on this one. He can get you into shape with just 10 minutes a day. Only draw back is you need Randy’s door gym, a product that I haven’t review yet. 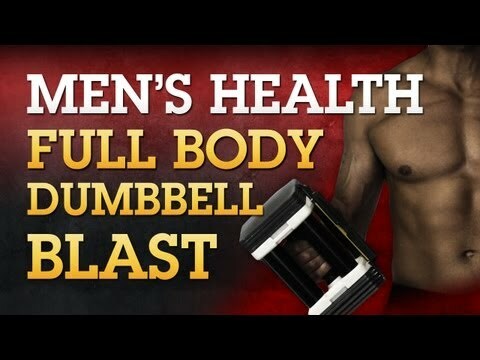 For Men’s Fitness Built for Battle MMA workout all you need is one weight, a kettbell or Dumbbell and 15 minutes. The work is intense and it is crucial to go all out within the time frame. If you muddle through this workout you won’t get any benefit from it. When done right this routine will help you develop endurance, fighter specific strength and burn fat. I recently purchased a heart monitor that calculates the amount of calories burned when I workout. For this workout I burned about 300 calories that is a lot given the amount of time for this workout. Here is the break down for the workout. Perform workout as a Circuit complete one set of each exercise then move on to the next exercise. Perform each exercise for 25 seconds then rest for 5 seconds. Perform this workout once or twice a week. get down to one minute between circuits. Special thanks to Brad from coordinationbag.com for sending me these cool Muay Thai Shorts. Get your shorts here. Also check out my review on this unique martial arts product the coordination bag.